The Moth StorySLAM, according to the London Guardian, is “brilliant and quietly addictive.” The Village Voice calls it “an exuberant moveable feast.” Now that feast is moving to the Freight! What is the Moth StorySLAM exactly? It’s an open-mic storytelling competition. You’re invited to watch and listen – and if you put your name in the hat, you might be selected to compete! 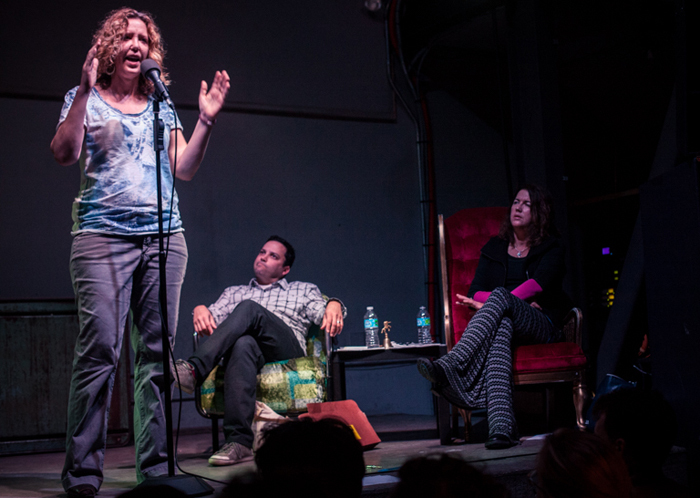 The Moth is not a venue for readings; it is a venue for tellings. No notes, papers, or cheat sheets allowed. Contestants are judged on sticking to the five-minute time frame, sticking to the theme and having a story that sticks—one that has a conflict and a resolution.